Professor Lordkipanidze is the General Director of the Georgian National Museum, with responsibility for ten museums in Georgia. Since 2004, he has overseen the transformation and renovation of museums into modern exhibiting and educational institutions. This meeting is an opportunity to hear about these developments and to discuss recent and current issues in museums, archaeology and heritage in Georgia. There is not a set reading, and the meeting will take the form of a conversation and discussion, though you might want to consult the Georgian National Museum's web page: http://museum.ge/?lang_id=ENG. The discussion will explore links between nationalism, archaeology and heritage, including the difficulties archaeologists face in reconstructing the past under dictatorship. Michael L. Galaty and Charles Watkinson 2004: 'The practice of archaeology under dictatorship', in Michael L. Galaty and Charles Watkinson (eds), Archaeology Under Dictatorship, 1-17. Kluwer Academic/Plenum Publishers: New York. Philip L. Kohl 1998: 'Nationalism and archaeology: on the constructions of nations and the reconstructions of the remote past', Annual Review of Anthropology 27, 223-246. Much has been (and continues to be) written about the relationship between archaeology and anthropology, two disciplines with undisputed historical links. While archaeology owes much to anthropology, especially from a theoretical point of view, the two disciplines have changed in many ways since Binford's 1962 article 'Archaeology as Anthropology' (American Antiquity 28.2, 217-225). Our reading comes from an edited volume of twelve papers which all discuss the relationship between archaeology and anthropology, each with a different approach. Souvatzi's paper explores, "... from an archaeological perspective, whether space can provide a meaningful framework for effective interaction between anthropology and archaeology." It is hoped that the paper will generate discussion not only about its specific topic, but also about the relationship between archaeology and anthropology more generally and how archaeologists can apply modern anthropological approaches into their own research. Stella Souvatsi 2012: 'Space, place and architecture: a major meeting point between social archaeology and anthropology?' In David Shankland (ed. ), Archaeology and Anthropology: Past, Present and Future, 173-196. Berg: London and New York. Most archaeologists today are aware of the imperialist origins of the historical disciplines and the early use of excavations as a means of controlling the human and material resources of foreign nationalities. A notion that is harder to come to terms with is the idea of the colonial present defined by the binary divide that continues to be imposed between the professionalised practitioners of archaeology rooted in Western academic thought, and the unfamiliar subject of the study. This phenomenon known as ‘othering’ has become a key concept in the field of archaeology within the context of post-colonial and post-modern studies. During the reading group I hope to engage with this idea of historical othering and how it is theorised today. The readings provide two very different examples of othering. Judt’s journal article discusses the way politicians, academics and the general populace manage to disconnect themselves from aspects of their own past, thus reinventing it to fit present needs. Hamilakis on the other hand discusses the divide imposed by foreign powers between the past civilisations and present populations of regions they are studying. When reading these papers I would like for everyone to have a think about how boundaries are drawn between the self and other in their own area of research, as well as having a think about possible changes that could be implemented in archaeological theorisation and practice, such as community archaeology or Hamilakis’ politicised ethics. Tony Judt 1992: ‘The past is another country: myth and memory in postwar Europe’, Daedalus 121(4), 83-118. Yannis Hamilakis 2010: ‘We are all Middle Easterners now’, in Ran Boytner, Lynn Swartz Dodd and Bradley J. Parker (eds), Controlling the Past, Owning the Future. The Political Uses of Archaeology in the Middle East, 217-29. Tucson: The University of Arizona Press. The autobiographical Res Gestae Divi Augusti (The Achievements of Divine Augustus) was posthumously memorialised as a monumental public inscription. Numerous scholars have shown how carefully Augustus composed this work and therefore how important it was to him and his vision for his legacy, but the materiality or physical aspects of it have received far less attention. Ancient sources explicitly describe Augustus’ directive in his will for the Res Gestae to be displayed on two bronze pillars in front of his giant Mausoleum, and this paper will examine the role and impact of the Res Gestae as an inscription within the urban landscape of Rome. All known physical attributes of the inscription including the text itself, the specific use of bronze and its inherent qualities, its scale, location and context will be analysed using contemporary ideas about materiality to better understand the impact that the Res Gestae as a physical entity had on the entire Roman populus. In employing these methods it will be shown that it was through its physical design that the Res Gestae was intended to convey a complex series of messages in order to communicate with all levels of Roman society at the same time. 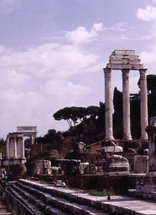 It will also be argued that through this approach Augustus was far more successful in enshrining his achievements, his legacy and the foundation of his dynasty in the collective memories of all Romans, than he would have been had he not required that the Res Gestae become the public monument that it did. Although this article deals with a specifically Roman object, the issues discussed in it are universal and therefore applicable to all cultures and societies. Through this article I not only hope to look at the Res Gestae from a new perspective, but just as importantly to add to the broader discussions in archaeology about how the materiality of objects affect the lives of those who interact with them. The suggested reading this month examines the role of historical and anthropological models for examining and critiquing the interpretation of migration in the archaeological record. The reading specifically looks at the Sea Peoples and considers limited migration as an alternative to an elite sponsored mass migration at the end of the Bronze Age (ca. 1177 BCE). One question to consider is what constitutes the archaeological signature of migration and for that matter, piracy in the Bronze Age. Reading: Louise A. Hitchcock and Aren M. Maeir 2014: ‘Yo-ho, yo-ho, a seren’s life for me!’ World Archaeology 46.4, 624-40. Readings: Astrid van Oyen, in press (2015): ‘Actor-Network Theory’s take on archaeological types: becoming, material agency, and historical explanation’, Cambridge Archaeological Journal. Jeroen Poblome, Daniele Malfitana and John Lund 2014: ‘It’s complicated … Past cultural identity and plain broken pottery’, Rei Cretariae Romanae Fautorum Acta 43, 11-17.